Deborah Coen's research and teaching bring together the history of science and the intellectual and cultural history of modern Europe. 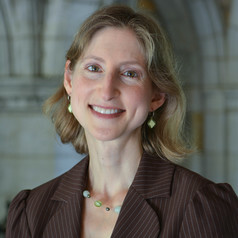 She has published widely on the history of the physical and earth sciences, including The Earthquake Observers: Disaster Science from Lisbon to Richter (University of Chicago Press, 2013) and Vienna in the Age of Uncertainty: Science, Liberalism, and Private Life (University of Chicago Press, 2007). Her most recent book is Climate in Motion: Science, Empire, and the Problem of Scale, published by the University of Chicago Press in July 2018.